Fortress® maintains an in-house dedicated trucking fleet to provide on time delivery from all of our facilities. As our business has grown, so has our fleet. In additional to our own trucks, we partner with professional independent carriers to keep freight moving to our customers. From our High Point facility we can ship via rail. Located on the Norfolk Southern, Fortress can utilize their extensive rail system to cover long distances. 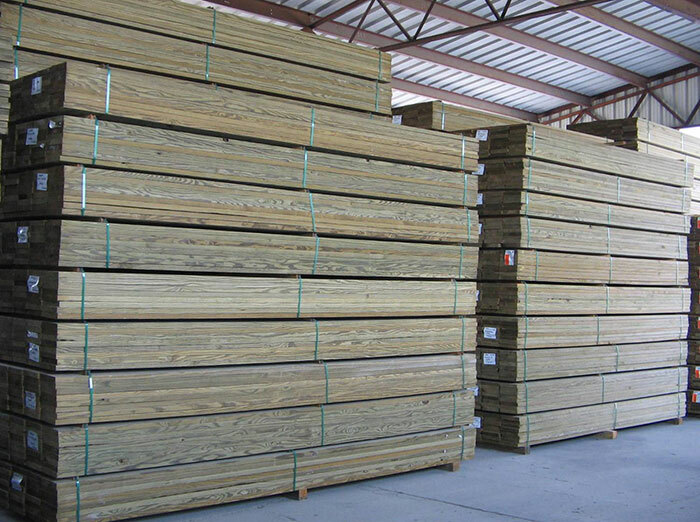 Fortress® provides consistent shipping and delivery for your treated wood product needs. All of our products are available for export. We are experienced at stacking, packaging, and loading containers for ocean equipment. Inquiries are quoted CIF, delivered to the USA port of your choice, or picked-up at one of our plants. We can quote white lumber as well as treated. Our Elizabeth City plant is located within 50 miles of the port in Norfolk, VA.
Fortress®’ treating plants operate fully automated treating systems. This allows us to precisely control preservative usage, enabling Fortress® to remain a low cost producer, and keep our customers competitive. Our pine products are third party inspected by SPIB. Fortress® quality control provides testing by our own laboratory to insure quality of treatment and proper retention of preservative.